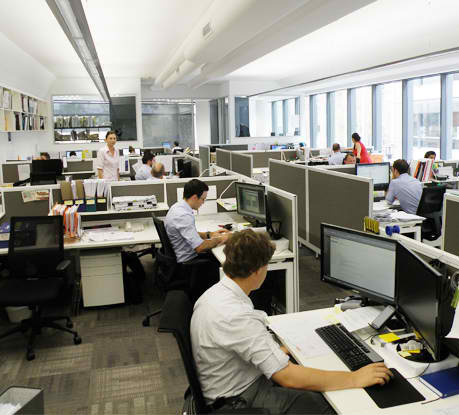 At the Sydney head office of Costin Roe Consulting, the large open-plan workspace where engineers and drafting professionals can freely communicate and collaborate is called “the Engine Room”. It is here where the practical and efficient day-to-day engineering solutions are formulated and implemented with exacting precision and absolute commitment to the achievement of client objectives. The atmosphere is typically buzzing with the intensity of problem-solving by teamwork and individual pursuit of perfection as the minimum standard. Meeting rooms of various sizes cater for the round-table exchange of ideas and information between colleagues, and engagement between internal project managers and external stakeholders. 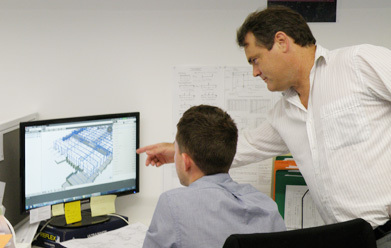 With a team of the finest people at all levels of the organisation, and engenderment of a corporate culture that delivers the highest standards of quality in engineering, relationships and client services, work processes are continuously refined by the implementation of best-practice methodologies including Agile and BIM.